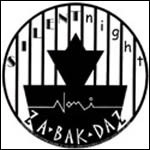 Please note that there are a few other compilation cd's out there besides the ones I have on my list. 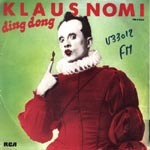 KLAUS NOMI : Keys Of Life,Lightning Strikes,The Twist,Nomi Song,You Don't Own Me,The Cold Song,Waisting My Time,Total Eclpise,Nomi Chant,Samson And Delilah(Aria). SIMPLE MAN : From Beyond,After The Fall,Just One Look, Falling In Love Again,ICUROK,RubberbandLazer,Wayward Sisters ,Ding Dong,Three Wishes,Simple Man,Death,Return. ENCORE : Fanfare,Cold Song,Total Eclipse, Can't Help Falling In Love,Simple Man,Waysting My Time,Wayward Sisters, Ding Dong,You Don't Own Me,Der Nussbaum,Lightning Strikes, The Twist,Samson And Delilah. IN CONCERT: Keys Of Life,Falling In Love,Lightning Strikes, Nomi Song, The Twist,Total Eclipse,I Feel Love,Samson And Delilah. ECLIPSED : Total Eclipse, Lightning Strikes, The Cold Song ,Waisting My Time,You Don't Own Me,Keys Of Life,Rubberband Lazer,ICUROK,After The Fall,Just One Look, Ding Dong, Simple Man,Three Wishes,I Feel Love,Can't Help Falling In Love. THE COLLECTION : Cold Song,Can't Help Falling In Love,Der Nussbaum,Just One Look,The Twist,Total Eclipse,Three Wishes, ICUROK,Waisting My Time,Rubberbandlazer,Ding Dong,Nomi Chant ,Death,Wayward Sisters,From Beyond,Falling In Love Again. 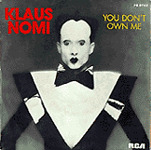 KLAUS NOMI : released on French RCA in 1981,has interpretations of Lou Christie's "Lightning Strikes" and Lesley Gore's "You don't Own Me"
"Total Eclipse" Featured in the movie "URGH! 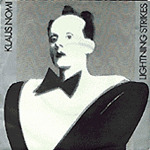 A Music War"
SIMPLE MAN : released in 1982,his second and last studio album. Includes Kristian Hoffman's "After The Fall",Doris Troy's "Just One Look" and a amazing version of "Ding Dong(The witch is dead)from The Wizard Of Ozz. IN CONCERT : Recorded at NYC's Hurrah in 1979,released in 1986.Featured a mind blowing version of Donna Summer's "I Feel Love"
ECLIPSED : A 1999 compilation featuring the live version of "I Feel Love" and "Can't Help Falling In Love" from Elvis Presley. THE COLLECTION : compilation cd as like the "In Concert" cd a hard to find item.